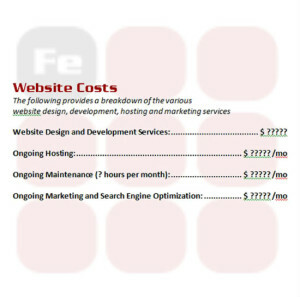 ﻿ How Much Does a Website Cost? This entry was posted in Online Marketing and tagged advertising, marketing, online marketing, seo, website, website cost, website design, website develop. Bookmark the permalink.